The new eco-centric business model isn’t a fad to be canceled out by the next trend. While the environmental implications of the green business are obvious, the fact that going green can actually save your small business serious money may not be as well known. By turning your business green you may not only save some money, but you will also potentially boost your employee’s productivity, streamline your business model, improve office design, and reduce IT costs – which will only aid your efforts in company growth and expansion. The following are just a few tips to get you there. Contrary to popular belief, going green in the office isn’t restricted to computer-based technologies. While they’re certainly a large part of it, building a green office literally begins from the ground up. Flooring: Choosing a decidedly green flooring option like bamboo, linoleum, wool, or other FSC certified hardwood is a good place to start saving: the environment and your money. Wool for example, is a great substitute for common synthetic carpet materials because it’s stain resistant and retains heat during the colder months, while wicking heat and moisture away during the hotter parts of the year. This means big savings on both energy and maintenance costs. So if you are designing your own office, or get to tell your leasing manager how you want your office to look, be sure to request green flooring to maximize savings. Furniture: Plenty of local places offer green solutions for furniture. Whether you be looking for New York or san diego office furniture, green furniture companies will work with you to get the best deals on ergonomic, cheap, environmentally sound cubicles and other green office goods that not only increase the comfort levels for your employees, but also offer cost-effective, and aesthetically superior green solutions for your work place. You can also opt to purchase previously owned furniture. By purchasing previously used furniture from an office resale supply store, you will get great products at a lower price and will be adhering to green standards through minimization and reusing. In order to understand exactly how cloud computing can help your business save money, it’s important to understand the basics of how it works. A simplified definition of cloud computing is internet-centralized business software. Instead of purchasing in-house technical products (computer software, devices, tangles of wires, etc.) companies will have a cloud provider furnish them with an Internet destination that acts as their software hub. This hub can be accessed remotely by anyone in the company, from any computer or internet-connected device. What does this mean for the environment, your business, and saving money? Lowered IT costs/wastes: Without fancy in-house software and equipment comes a drastic reduction in IT costs. The fact that the cloud can be serviced remotely makes it much easier to maintain and keep running effectively. It also usually includes upgrades, product enhancement, and support. Right there you cut tremendous capital investment, as well as upgrade and software update costs. You also eliminate much in the way of energy costs associated with tangible software products and wasteful paper goods. Mobility, Risk: The remote access afforded by cloud technology gives employers options for greater mobility. Having employees work remotely saves a business money on office space and even more so on salary costs because employers don’t have to factor in transportation costs into paychecks to make a commute worth it to their employees. Working from a remote platform also reduces the risk of security breaches as these internet-based technologies are laden with encryption software and other measures that fortify your business’ intel. It’s also a vastly smaller monetary risk one takes with cloud technology as services can simply be canceled, as opposed to being stuck with purchased in-house goods and software that often becomes quickly outdated and needs repairs. Another often-undiagnosed cost to small businesses comes in the very light under which they operate. No longer are we resigned to the ancient, inefficient Edison-designed bulbs of the past. With the advent of LED technology, companies can save huge amounts of energy by making a simple switch. LED use is growing rapidly and offers numerous benefits for small business owners out there. LED Facts: LEDs use 50-80% less power, cutting annual energy/electricity costs drastically. A standard CFL usually lasts around 6–8 thousand hours, or, less than 1 year. A similar LED version can last up to 50-80 thousand hours – that’s almost 10 years if it’s left on 24/7 – meaning serious savings in new light purchases and maintenance costs over time. Users also get increased tax benefits for switching to LED lights. 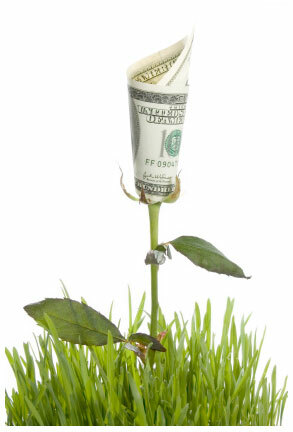 At this point, it would be hard to denounce the many benefits associated with green business options. And as the market for these products continues to grow and expand, you can certainly look for higher energy and monetary savings in the way of green technologies in the near future. By keeping your eyes open for the latest green office ideas, you ensure not only a healthier environment for all of us, but also a smoother, more cost-effective business for you and your employees.